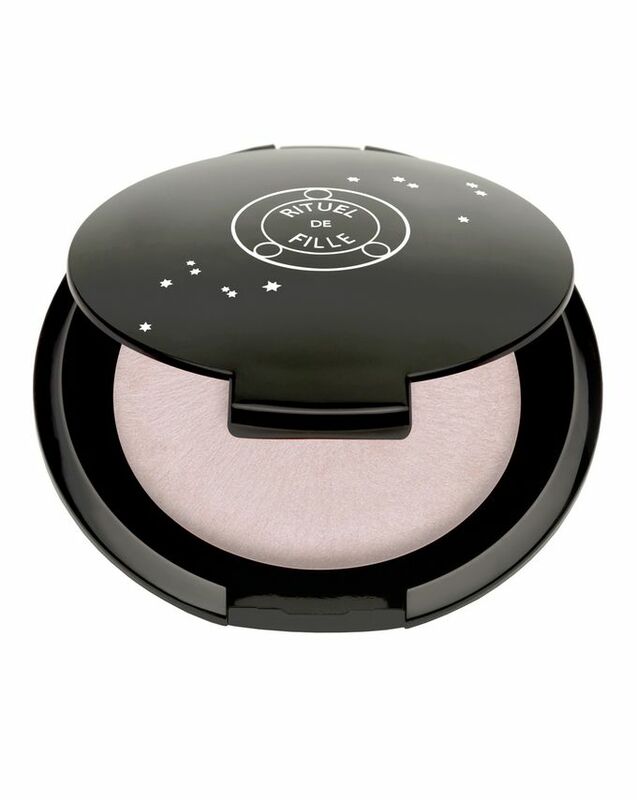 The secret to an otherworldly glow, Rituel de Fille’s exquisite Rare Light Luminizers lend a gorgeous gleam to cheekbones, brow bones and the cupid’s bow. Inspired by flickering candlelight and the phenomenal aurora borealis, these creamy highlighters help simulate the luminosity of youth – they’re sheer and dewy without any tell-tale shimmer for an enviable, super-natural skin-finish. Like frosting for your face, all five of Rituel de Fille’s Rare Light Luminizers have a mesmerising, ‘crushed pearl’ quality – melting into skin to seamlessly accentuate your favourite features. 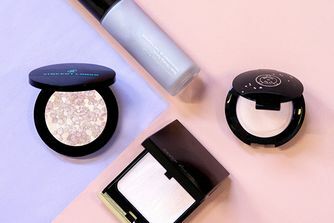 With no ‘tidelines’ where product ends and skin begins, these creamy glow-givers blend flawlessly – creating an ethereal, ‘lit from within’ skin-finish that is natural but also extraordinary; fluctuating as the pigments catch the light to ‘kiss’ your complexion with iridescence. Choose from five stunning shades: ‘Solaris’ (a sunset-inspired rose gold streaked with translucent opal), ‘Lunaris’ (an iridescent pearl with flashes of icy blue and lilac), ‘Ghost Light’ (a cool-toned pale pink with a glint of violet light), ‘Anthelion’ (a striking gold-meets-subtle orange-red highlight) and ‘Phosphene’ (a soft pale beige glow with a hint of blushed-peach). Apply to skin with fingertips using their warmth to 'melt' the colour and create a natural, 'lit from within' look. 'Ghost Light': Simmondsia Chinesis (Jojoba) Seed Oil, Lanolin USP, Ricinus Communis (Castor) Seed Oil, Euphorbia Cerifera (Candelilla) Wax, Cera Alba (Beeswax), Copernicia Cerifera (Carnauba) Wax, Phenoxyethanol, Caprylyl Glycol, Potassium Sorbate, Hexylene Glycol, Lavandula Angustifolia (Lavender) Oil. May Contain: Mica [CI 77019], Titanium Dioxide [CI 77891, CI 77019], Tin Oxide , Iron Oxides [CI 77491, CI 77492, CI 77499], Carmine [CI 75470], Bixa Orellana (Annatto), Boron Nitride, Boron Oxide, Calcium Sodium Borosilicate, Zinc Powder [CI 77945], Bronze Powder [CI 77400], Copper Powder [CI 77400]. 'Anthelion': Simmondsia Chinesis (Jojoba) Seed Oil, Lanolin USP, Ricinus Communis (Castor) Seed Oil, Euphorbia Cerifera (Candelilla) Wax, Cera Alba (Beeswax), Copernicia Cerifera (Carnauba) Wax, Phenoxyethanol, Caprylyl Glycol, Potassium Sorbate, Hexylene Glycol, Lavandula Angustifolia (Lavender) Oil. May Contain: Mica [CI 77019], Titanium Dioxide [CI 77891, CI 77019], Tin Oxide , Iron Oxides [CI 77491, CI 77492, CI 77499], Carmine [CI 75470], Bixa Orellana (Annatto), Boron Nitride, Boron Oxide, Calcium Sodium Borosilicate, Zinc Powder [CI 77945], Bronze Powder [CI 77400], Copper Powder [CI 77400]. 'Phosphene': Simmondsia Chinesis (Jojoba) Seed Oil, Lanolin USP, Ricinus Communis (Castor) Seed Oil, Euphorbia Cerifera (Candelilla) Wax, Cera Alba (Beeswax), Copernicia Cerifera (Carnauba) Wax, Phenoxyethanol, Caprylyl Glycol, Potassium Sorbate, Hexylene Glycol, Lavandula Angustifolia (Lavender) Oil. May Contain: Mica [CI 77019], Titanium Dioxide [CI 77891, CI 77019], Tin Oxide , Iron Oxides [CI 77491, CI 77492, CI 77499], Carmine [CI 75470], Bixa Orellana (Annatto), Boron Nitride, Boron Oxide, Calcium Sodium Borosilicate, Zinc Powder [CI 77945], Bronze Powder [CI 77400], Copper Powder [CI 77400]. More subtle than advertised, but pretty. I own Phosphene for a long time now and have always liked it, but recently I tried to lightly blend it with a damp sponge. I have never seen such a beautiful highlight, it melted into the skin. Highly recommend this highlighter and this way to blend it. I purchased Anthelion and it is literally the best highlighter I have ever had. It's perfect for a festive look this winter but also would give a great glow for summer too. I've got really fair olive skin and I can use this under my foundation to give a little radiance and also pat along my brow bone, cheekbone, inner corners of my eyes and Cupid's bow. It also doubles up as a fab eyeshadow and is really buildable. Will be purchasing more shades in the future! Lunaris is a cool shade, a subtle glow that is nice on the eyelids as well. A dreamy fairy like colour. Solaris is a warmer shade but also very subtle. No blinding highlights but the ones that make you feel beautiful. This is my first time trying this brand an let me start by saying the smell is DIVINE. As soon as I opened the Cult Beauty parcel the smell of lavender. It feels so different to the other cream products I've tried but good unique different. The colour is this beautiful shimmering gold and it compliments my warm medium to tan skin tone really nicely. I'm thinking of trying Phosphene or Solaris next. Definitely would repurchase from this brand again. I'm a total RDF junkie, I own all 5 rare lights and all the pigments. You can have that little compact in your purse and you've got lip colour, eye colour, cheek colour. They blend like a dream. Only downside is deciding what colour I want to use each day. Confessions: my first CB buy was Ghostlight, had to own this. And if you need a little pick me up, just get it out and sniff it, the smell is delicious. Every element of this product has satisfied my idea of the perfect highlighter. I have never tried a cream highlighter, which I have been quite reluctant to do so. But this rare light luminizer is honestly the best. 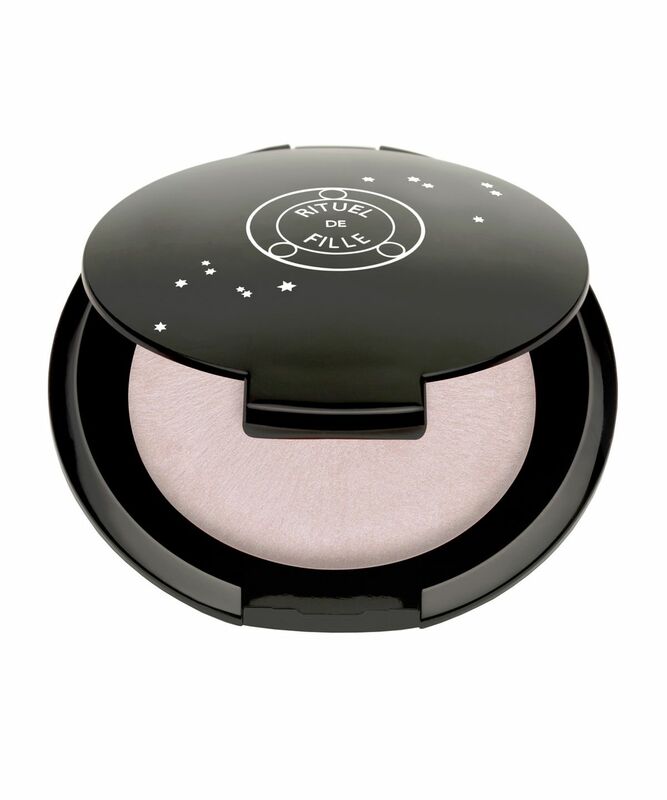 The shade ghostlight gives a subtle holographic effect (not over the top), which gives it a really unique but natural highlight to the complexion with little amounts of shimmer. The only downside to this product would be the fragrance, only detectable when applied on the tip of the nose. On top of all the good things, the compact packaging is gorgeous as well. Most amazing color and fits my fair skin so much! Texture is smooth is nice on the skin. I can't get enough of this mesmerizing color! I own quite a lot of highlighters and this (Ghostlight) by far is the most beautiful highlighter I have ever had. I am addicted. I think it's far more superior than all the other ones I have tried, including the likes of Becca and Kevyn Aucoin. I think that Cle de Peau also makes beautiful subtle highlighters but the subtle purple in this one is just so nice. It lasts forever too. I have dry skin and slap on a lot of skin oil/serum/cream underneath my foundation, this highlighter can stick on the whole day! I love it! I own a ton of highlighters but these three are outstanding. I either apply them with my fingers or beauty sponge. Phosphene gives a beautiful "melt-into-your-blush" champagne/peach sheen, Antheleon the most beautiful golden glow. I own all three of them and find them unique and beautiful. They last 10-12 hours on me without, refreshing. I found this to be very subtle and hard to build up and that's on my pale skin. The colour and the formula is nice but that's it. Also I couldn't pick this up with my Beauty blender, only with my fingers. I’m a bit of a highlighter junkie but as I getter closer to the 40 mark I struggle with some of the very strobey metallic highlighters and tend to favour the beautifully subtle lit from within glow.... this highlighter is so subtle yet very dewy due to the balmy texture, it highlights beautifully without attracting any attention to fine lines around the eyes! My hubby even commented on how my cheeks look lovely today! I bought the lilac toned option which sits so nicely on my fair to medium skin tone and really sets off their pink cream blusher. I got these today and they are stunning. I'm extremely pale and I love the glow these give me. This gives a beautiful warmth and glow to the skin. There are some small flecks of glitter but they are only noticeable when you look at it up close. I personally prefer creams that sink into the skin to powders that sit on top of your skin and this highlight gives my skin a natural glow, with a hint of colour that gives some life to my face when I feel like wearing blush would be too much. This highlighter also smells like essential oils due to the lavender oil in the formula, which could be a turn off for some people but I really love. Overall would recommend to people who prefer a subtle glow, but I'm sure this can be built up to a more blinding highlight. I find highlighters a bit naff normally as I'm a 'no-makeup makeup' girl and I'd rather spend money on skincare than makeup. This is probably the most beautiful makeup product I've ever bought. I have Ghost Light and I'm waiting for payday to get another one! The lavender smell is gorgeous, the iridescent pinky colour is strangely flattering, the packaging is gothy but cute, and the glowy highlighting effect is perfect for a makeup-phobe like me. And it lasts all day. I've had so many people ask me what I'm wearing on my face which is nice :-) Could not recommend more. It has the on-trend holographic sparkles; very fine though. It wears on the face and inner corner of eyes beautifully. If I may comment on one thing that I might not be a big fan of is that when I apply them on the skin with only fingers, the glitter is all over my palms. I have skin paler than most with blue undertones, so much so that my skin almost looks more pastel violet than as if it has any yellow or warmth to it in some lighting. I have difficulty with highlighting and contouring because even when the product is intended for pale skin it's often too warm-toned but Ghost Light has changed all this for me. It is the best highlighter I've EVER used. It is freaking gorgeous and I get so many compliments on it. I hope it never goes away because I don't think I could use another highlighter after this. I would give it a million stars if I could. I am literally up at night worrying it will be discontinued. Love love love. Gorgeous packaging, and the product itself does not disappoint. A faint smell of lavender which is a nice change. The colour is beautiful and the texture smooth, workable and buildable- works great alone or as a base. Alone it gives a really lovely, natural 'lit from within' glow, and is not 'shimmery' or 'glittery' so can be worn everyday. The colour is an interesting cool toned, pale, icy pink/violet. I'm looking forward to more colours being released of these highlighters.